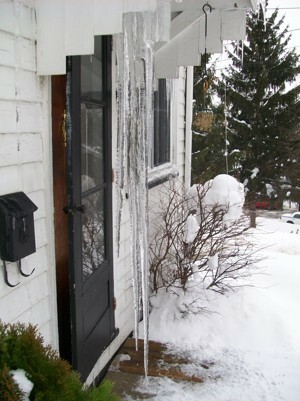 While we may not always be thrilled by an ice storm or heavy snowfall, icicles are the upside to such weather events. Trees, clotheslines, and roof eaves are the perfect beginning palette for these natural glistening pieces of artwork. 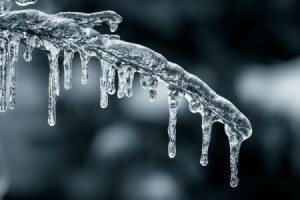 This page offers several icicle photos. Dripping icicles are a sure sign that warmer days are ahead. Lucky to have caught twin drips at the same time. A huge ice storm moved through and coated everything in its path. This is my umbrella type clothes line. I love the way the ice sparkles like diamonds in the sunshine! These are in my backyard. We have had unusually cold weather this winter. 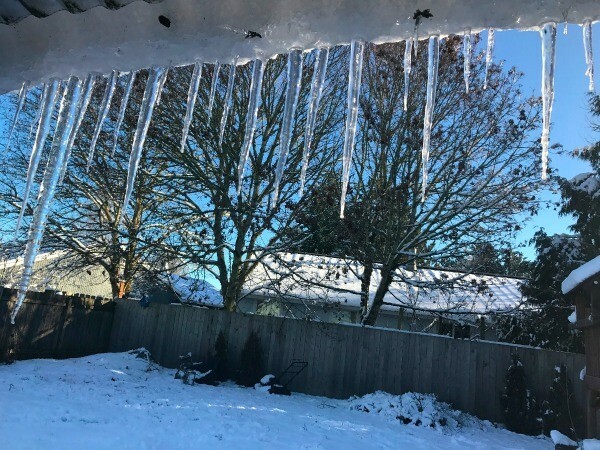 Having lived most of my life in the temperate Pacific NW, I have had very few opportunities to enjoy the beauty of icicles. I was so sorry when the temperatures rose and they all melted. A blue and icy cold day in St. Placid, Quebec. This picture was taken with my Nikon digital Coolpix camera. 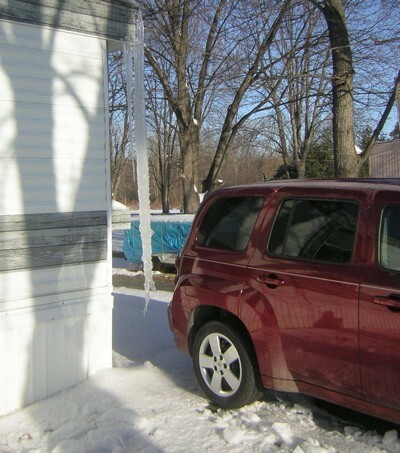 I went out to get in the car, and this ice sickle was hanging from the end of my house. Weather conditions were just right in February for this rascal to form. Almost six feet long! 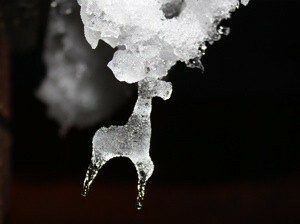 I was reminded of it when I saw the icicle picture in ThriftyFun today. Icicles in perfect formations. I took this photo at White Oak Sinks in The Great Smoky Mountains National Park in March of this year. This trail is off the beaten path from Schoolhouse Gap Trail. 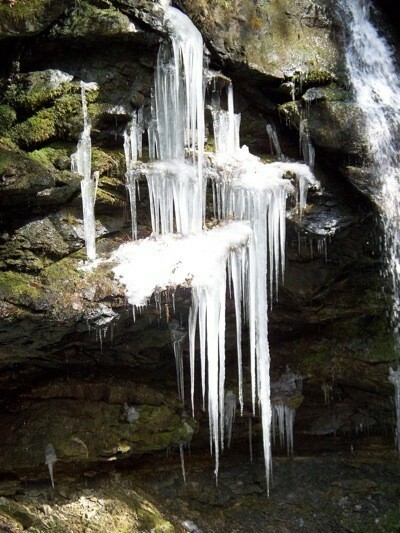 These icicles are on a rock face above the Falls that lead into a cave. This makes me think of the stalactites in Cheddar caves. So Beautiful! I would love to visit such a place just to to absorb as much of the peace as I could. 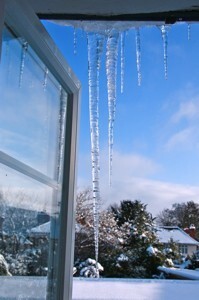 This was a huge 3 ft icicle that was found outside the bathroom window at the time of the Big Freeze here earlier in January! 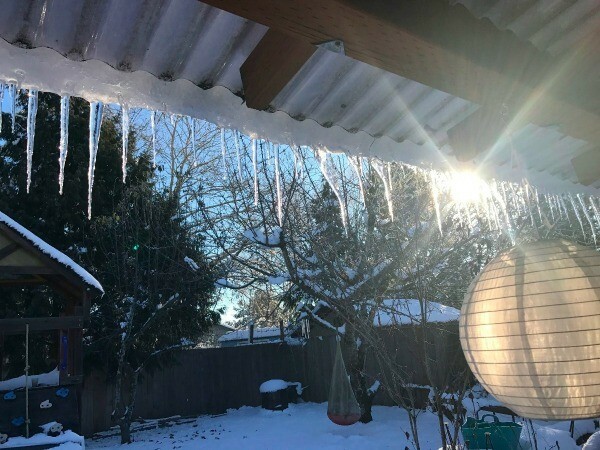 What big icicles you have! This one was so big it wouldn't fit in my freezer. 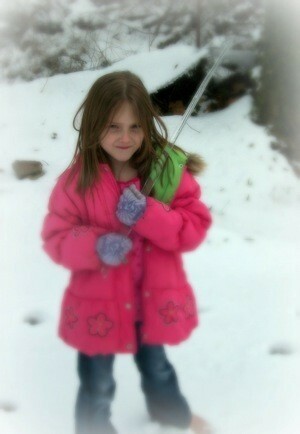 My granddaughter had fun showing it off.